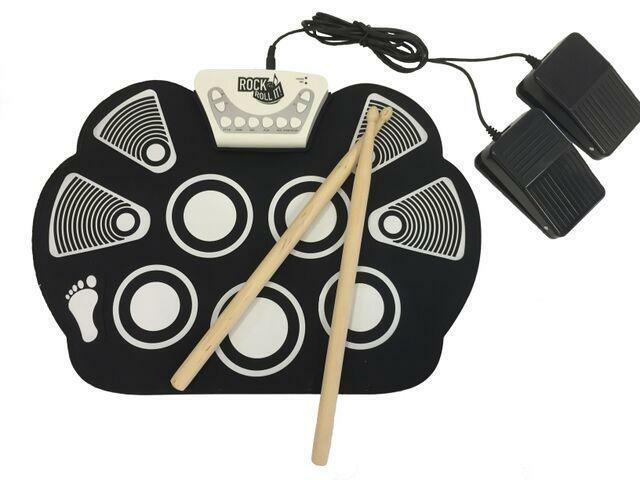 This starter drum set features 10 percussion sounds, a portable roll up design, multiple instrumental track to play along, record and playback function, multiple sound styles and MP3 connection. Includes drumsticks, two foot pedals (high hat and bass) and runs off USB or battery power. Dimensions: L: 15" x W: 11" x H: 1"